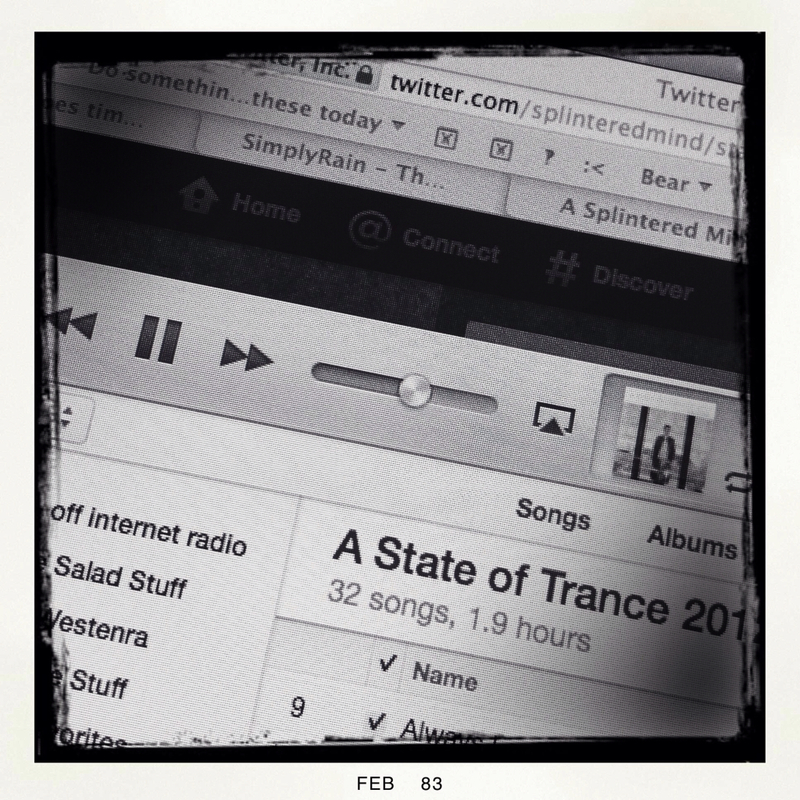 First, I load up a long vocal trance music playlist into iTunes. I love dance music because it was my first white noise. It also pumps up my adrenaline and helps me work faster. I then drop iTunes audio levels to half way. I do this because I am going to layer the music with real white noise. 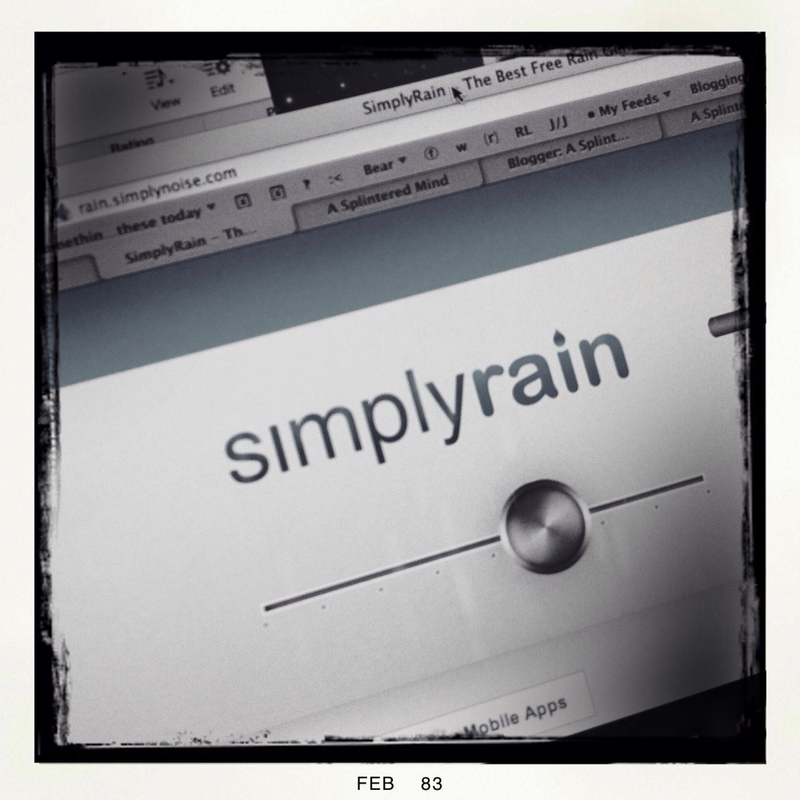 Second, I open up SimplyRain in a Flash capable browser. I usually just use their white noise generator, but recently they added a rain generator and I'm absolutely in love with it. I turn the rain noise volume to 85%, the intensity level to 85%, then turn on oscillation to LOW. If I have strong focus, I might turn on the thunder, but generally loud, random booms are a distracting thing and best to be avoided. Third, we'll need a dedicated screen. Many apps now support full screen mode. I find that so helpful for filtering out distractions. But some apps don't offer full screen mode. For them I launch Mission Control (I use a Mac running Mountain Lion) and create a new desktop. It's super easy in the new operating system. Drift your mouse to the right side of the screen and click on the tab that appears. 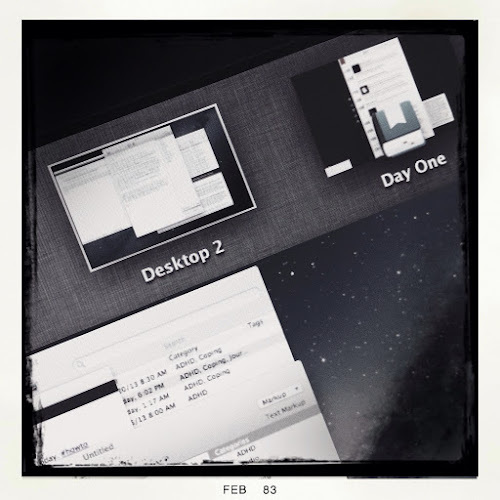 Now drag your app of choice into the new desktop. In this case I am using an old version of MarsEdit for blogging. Fourth, I hide the dock so all those colorful icons don't distract me. 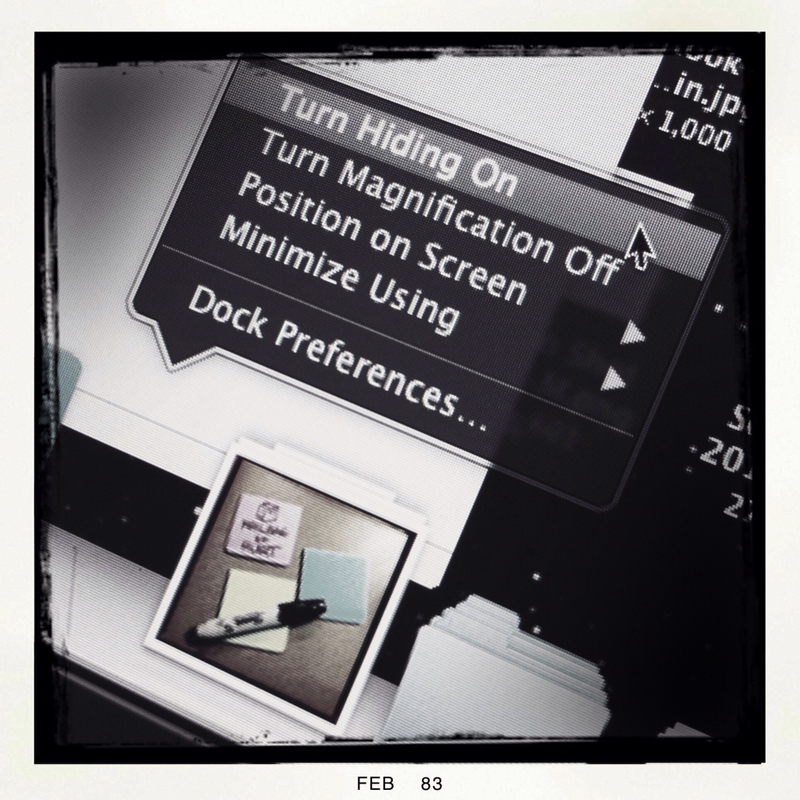 Right or Control click on the Dock's dividing line and select "Turn Hiding On". Then get to work! If you have a setup for your computer that you prefer better, let me know about it in the comments.